For true wanderlusts, it’s a dream come true to finally step foot on the country dubbed as the “Pearl of the Orient Seas” and the home to the world’s most beautiful beach destinations. However, the possibilities of unfortunate and even risky situations such as falling victims to common tourist scams can dramatically turn this dream into a nightmare. While it’s true that such risks that can affect your entire travel experience are present, don’t let them ruin the fun. How? For starters, knowing and familiarizing yourself with the most common tourist scams in the Philippines should be one of your priorities. Here are the most common travel scams that you should be aware of. As soon as your plane lands on the airport runway, you have to mentally prepare yourself for anything that can happen – after all, you’re set for a series of adventures: some are planned, and some can be unpredictable – and this includes protecting yourself from airport scams. Bringing in contraband is obviously a NO-NO if you want to make sure that your trips are free from stress, delays, or worse, jail time. However, one common scam that has made headlines recently has caught the attention of travellers around the Philippines: “bullet in the luggage”, tagged by the media as “laglag-bala” scam. What happens is, as soon as your luggage goes through the airport’s X-ray scanner, an airport staff will claim that they saw a bullet inside your bag. Your entire luggage will then be searched and a bullet will magically emerge from your bag – and no matter how much you tell them that you have no idea how it went there, the officer, together with one or two accomplices, will ask you to step out of the line and “talk” about it in a separate, often locked room. There, you’ll be presented with two choices: miss your flight and be arrested for carrying the contraband, or pay a hefty fine that can reach up to tens of thousands of pesos. What you should do is to assert your rights while being calm and diplomatic. It’s also important to document or record the incident as it unfolds. For instance, taking a video of what is happening often deter these scammers from going further. Also, make sure to post and share your experience online and ask the public’s help; you can also inform the higher authorities like the Police or the Airport management about the incident. Make sure to keep an eye on your belongings, especially if you decided to hire a porter to help you carry them. 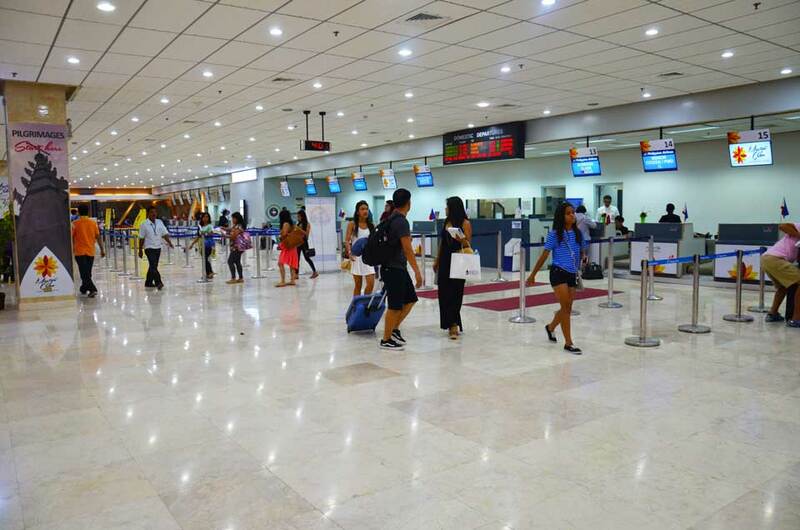 Porter theft is a common risk when travelling to the Philippines. While some just try to open your bags and check for valuables that they can steal, others can go to as far as stealing your entire bag while you’re too busy or exhausted to check on your luggage. Another scam discovered by the National Bureau of Investigation, this is where immigration officers might question your travel documents incessantly and not let you through unless you pay a bribe. If you are in a rush, just pay and go. However, if you have time to spare, request to speak to the supervisor or make things difficult for the scammer. Aside from the popular “rigged meter” scam, here are some of the most recent scams that target foreign and domestic tourists. While there are a lot of decent and honest taxi drivers in the Philippines, you should also beware of those who try to fool or even cheat on their passengers, especially if you are a foreigner. The “no meter” scam is one of the methods that dishonest taxi drivers use to force their customers to pay more by not using the taxi’s meter and just asking for a “fixed” fare, which is, triple or four times the actual rate. They often victimize tourists that are in a hurry, alone, looks exhausted from a long trip, those who can’t properly express their thoughts in English, or even older foreigners who don’t have the energy and the time to argue. 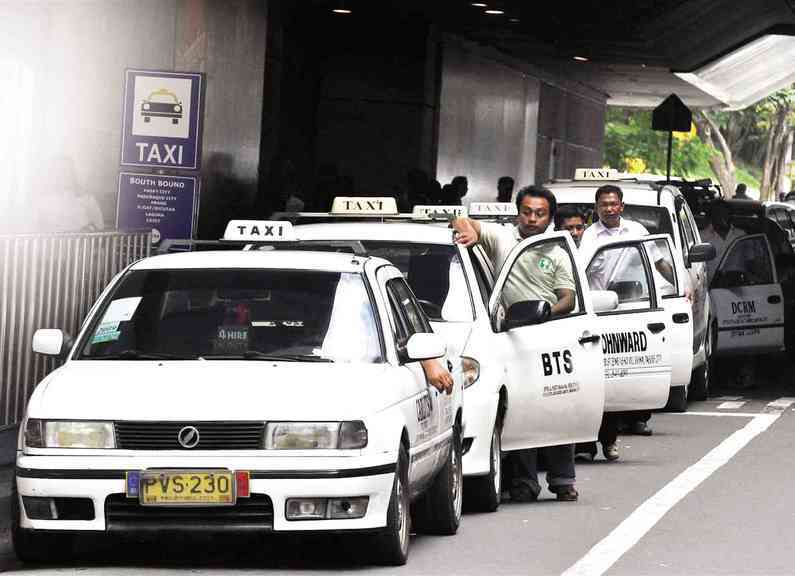 To be safe, it’s best to opt for the airport “Yellow Taxis” waiting in line just outside the Arrivals are. Most drivers are familiar with the most common routes around the city where they are based and with the help of a smartphone equipped with Google Maps or other navigating apps, it’s pretty much impossible to get lost – even in the big city like Manila. However, it’s still important to take note of this travel tip: before boarding a taxi, ask the driver first if they know the destination where you are headed – and only agree to start the trip if they confirm that they can take you there without a problem. This piece of advice is important because some drivers pretend to get lost or act as if they are not familiar with the specific street or building on your address. Such delay will give them the opportunity to drive you around, wasting your precious time while accumulating a higher fare rate on the taxi meter. Recent reports of taxi drivers spraying some kind of chemical on the vehicle’s AC to render their passengers unconscious have been confirmed by the Philippine police. Some of these victims were robbed and were left in unfamiliar places, mostly outside of the metro. While most of the victims are Filipinos, there is a huge possibility that there are unreported cases that involve foreign or local tourists. Most of these drivers are not registered drivers, using either stolen or unregistered vehicles. Once on board a taxi, make sure to take note of the vehicle’s plate number, the name of the driver (an enlarged and laminated ID card should be present and visible to the passenger), and send them to a trusted friend. Be attentive and most importantly, follow your instincts. The Philippines is home to the friendliest people in the world. However, it’s an unfortunate reality that some people have found opportunities to make money by convincing tourists, especially solo foreign travellers they just “bumped into” to hang out or go for a drink – only to drug them, and steal the their valuables. Here are some new and emerging methods that have been used to victimize travellers. Usually, someone less threatening, a female, would stop you on the street and try to engage in small conversation. Once you decided to trust the stranger, she would eventually invite you to go to a Karaoke Bar with some of her female friends. Once inside the karaoke bar (often set in a private room), alcohol will be on the menu and they would invite you to drink and just have fun. While this sounds interesting and harmless, the fun ends when they finally manage to get you drunk – or, if you’re unlucky, drug you – and that’s the time they’ll strike. You’ll just wake up with an empty wallet and a bill for that unlucky karaoke night. So what can you do to protect yourself from this scam? It’s simple. Don’t talk to strangers. If you want to interact with the locals, it’s best to join online travel communities or forums where you can personally invite and meet people for a good (and safe) evening of talks and drinks. A lot of cases committed by a notorious group called “Budol-budol Gang” have been reported in the Philippines recently. While authorities still don’t know how the group manages to fool their victims into giving them their valuables (some incidents report of victims willingly withdrawing money from their bank account), the victims themselves believe that they were hypnotized. In most of these cases, a female member approaches tourists or even locals and try to initiate a conversation. The stranger would ask about a place or a direction to a particular address. Another person approaches and joins in the conversation. The two strangers eventually win the victim’s trust until they finally get the opportunity to rob or steal the victim’s valuables. Some accounts of the victims revealed that they even willingly gave and left their belongings to the strangers only to realize after a few minutes that it was obviously a scam. While these scams are real risks, never let them intimidate or scare you from experiencing the true beauty of the Philippines. It pays to be informed and make sure to always follow the three golden rules for a stress-free travel abroad: be informed, stay alert, and have fun. Emergency numbers to call: 911 for all emergencies.